Let’s plan your wedding on the Amalfi coast and Sorrento! Breathtaking panoramas from the venues overlooking the sea where the sky touches the water and the flowers are always blooming. Sun, crystalline sea, lush nature. Juicy yellow lemons and sweet aroma of the zagara flowers. Famous Italian conviviality and the authentic, delicious Southern Italian cuisine. The Amalfi Coast is the symbol of Italian exclusivity and elegance. 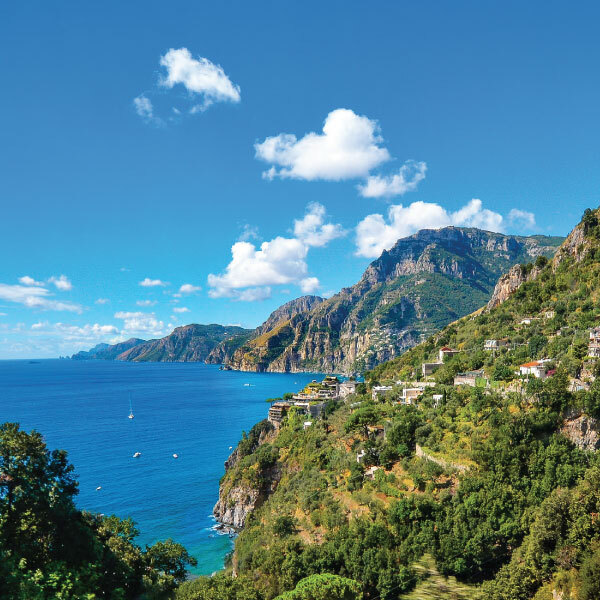 The Amalfi coast is a charming natural area, UNESCO World Heritage Site, surrounded by breathtaking Mediterranean landscapes, overlooking the blue sea, and beautiful villages. 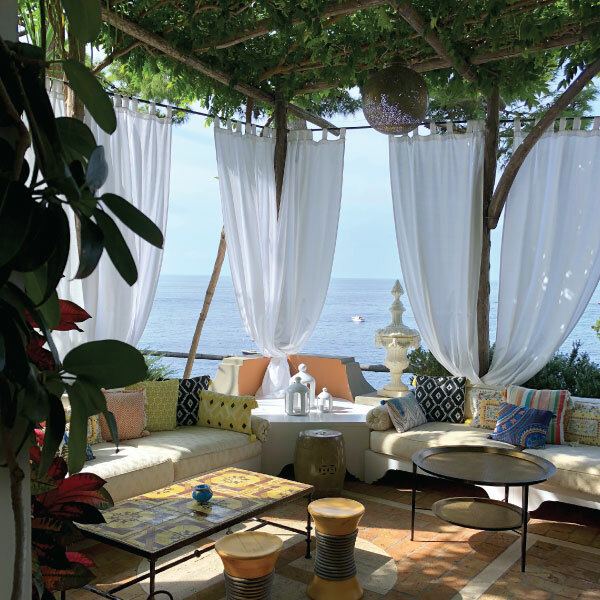 Luxury hotels and elegant private villas with blooming gardens and panoramic views over the sea and the finest panoramic restaurants will be a magnificent location to organize your wedding in Amalfi, your luxury wedding in Positano or also your lavish wedding in Ravello. What I really like about the Amalfi coast wedding is the “family flair” that the area has. Family hotels, family restaurants, and family shops give a very personal and intimate dimension to every event I organize. There is something confidential but at the same time convivial about this beautiful coast of Italy that is unparalleled elsewhere. A wedding on the Amalfi coast is a mix of elegance, tradition, and fun. Here it is possible to organize very small weddings in the most traditional Italian style. All my partners and suppliers understand very well the importance of this day for me and for the couples and work at the best of their capabilities to make everything perfect. The stunning colors of nature, the sweet smell of the citruses and the wind from the sea will do the magic to make your wedding in Amalfi coast memorable. The famous hilltop historical villages along the coast and the colorful fishing villages, such as Ravello and Positano, the stunning panorama and the unparalleled sunsets over the sea, the aroma and the flavors of a warm and welcoming land will be the frame of your stunning Amalfi Coast wedding. Sorrento is a town of lemons, luxury hotels, and plunging cliffs that cut through the heart of the historical center. Sorrento was a mandatory stop on the 19th-century ‘Grand Tour’ and interest in the town was first aroused by the poet Byron, who inspired a long line of holidaying literary geniuses – including Dickens, Goethe, and Tolstoy – to breathe the Sorrentine air. Resorts and hotels are very well located on the hills over Sorrento. Weddings in Sorrento usually take place on the terraces overlooking the sea. Some of the terraces are quite small and intimate: pergolas of vines and bougainvillea shield the guests from the hot southern sun. Some other terraces are grandiose and luxurious with lavishing decor, and a lot of space for the large Neapolitan families. I will assist you in the planning of your wedding in Sorrento. We will take care of every detail to make your guests feel cared and loved. We will prepare the wonderful gnocchi “alla sorrentina” and a cheese maker will come to prepare fresh mozzarella right in front of your eyes. Naturally, we will finish the meal with the best limoncello you have ever tasted.